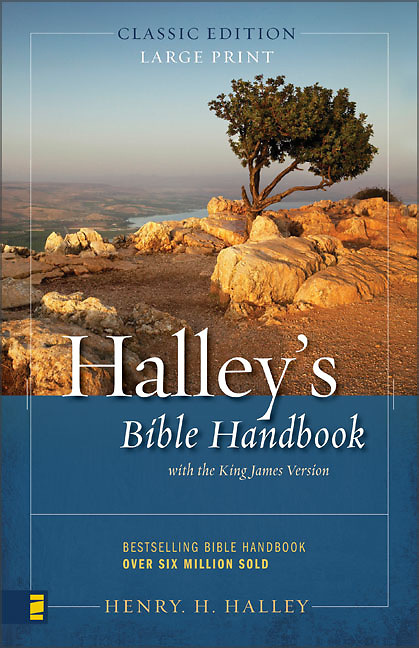 Halley's Bible Handbook was born out of Henry H. Halley's conviction that everyone ought to read the Bible daily. From its first edition, a small give-away booklet of 16 pages, it has grown into a 864-page "almanac" of biblical information, used regularly by hundreds of thousands of laymen, teachers, and ministers. Halley's Bible handbook contains more biblical information than any other book its size. It has been a continuous best-seller through the years and has sold more than five million copies in many languages. On April 28, 1961, the GUTENBERG AWARD was presented to Dr. Henry H. Halley by the Chicago Bible Society. The award reads in part: "Throughout the years, Halley's Bible Handbook, in one edition after another, has aided the sincere Bible student to find his way more deeply into the blessed and saving knowledge of our Lord and Savior, Jesus Christ."